Once you arrive in Wine Country, you can determine the best transportation option to get around from winery to winery. If you decide to drive, make sure you have a designated driver or that you taste responsibly. Driving can be a great way to see some of the sights along the way and to have complete control over your day. 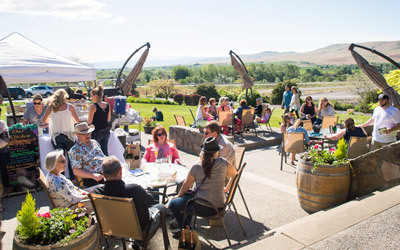 You can stop for lunch at a variety of locations or even take your lunch with you to one of the wineries. Just be very cautious when driving and don't drive at all if you are feeling even a little tipsy. To take the hassle out of driving, you can also hire a local limo service or hop on a wine tour with a wine tour company. By hiring a local limo service, you can determine your route for the day, where you want to stop and how long you want to stay at each location. The drivers will also provide you with some recommendation which can be a great way to try something new. If you decide to go on a tour with a larger group, remember that they will decide where you will go and how long you will stay. They also have to work out their routes with the wineries ahead of times, so they tend to visit the larger places that have more room for a larger group. 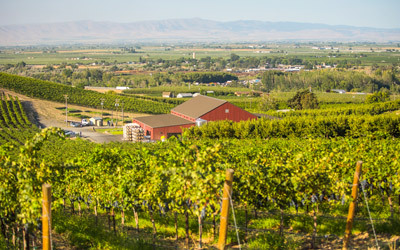 The Yakima Valley also has a number of taxis that will take you to a winery or pick you up. Want to do your own driving? Check out our wine weekend trip idea for ideas. 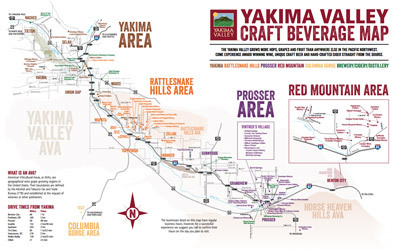 If you need assistance in planning your trip, please feel free to contact our experts at the Yakima Valley Visitor Information Center.